Whales are mentioned in the oldest documented sources and beached whales have always been considered a great perquisite, especially when times were hard. At the time of settlement, there were probably more whale species in the ocean around the country than nowadays. Two are known to have been hunted almost to extinction in the North Atlantic, the Greenland right whale, and the North Atlantic right whale. Even the earth’s largest mammal, the blue whale, was endangered. The Basks are said to be the first Europeans to hunt whales. The Norwegians planted their whaling stations in the Northwest and East of Iceland in the 19th century and continued their whaling activities into the 20th, until they were not profitable any more. The whales remained protected by law until the Icelanders commenced the whaling in 1948. External threats and pressure from whale preservationist organizations brought them to an end in 1987. The Icelanders withdrew from the International Whaling Commission in 1992 (re-entered in 2002), and pressure has been put on the Icelandic governments to permit the recommencing of whaling around the country ever since. In August 2003 the Minister of Fisheries permitted the hunting of 38 minke whales around the country on scientific grounds. The cool, clear North Atlantic and Arctic Oceans encircling Iceland are teeming with whales of various sizes and species. 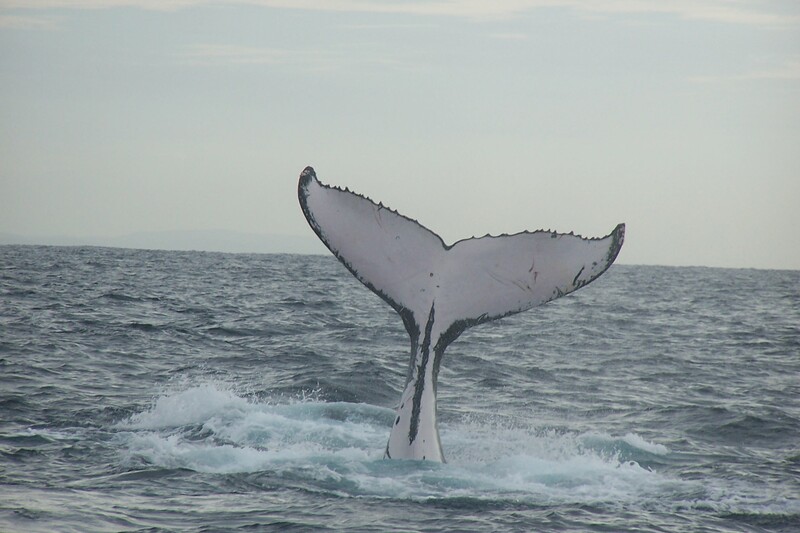 Already thousands of tourists have enjoyed whale watching from various sites around the country. The whale watching port in the north is Akureyri and Husavik. Whale watching is also available from the Reykjavik harbour. These locations confirm, that whales are all around the coastline. And although whale watching in Iceland is growing, it is still far from being commercial. As a pastime it is still exclusive and mostly done on small crafts. The locations are not swarming with other crafts full of tourists. Small groups are taken out. There are no other boats except those of the local fishermen and apart from sighting the majestic whales guest are treated to a variety of sea birds, seals, plus a glimpse of the midnight sun weather permitting. On October 18th 2006, the government of Iceland decided to allow commercial whaling again, and the first whale boat steamed 100 nautical miles out, almost to the fishing limits between Iceland and Greenland, looking for fin whales. The quota of this species is 9 whales this year. At the same time an additional quota for 30 minke whales was issued. The Ocean Biology Institute recommended a quota for 400 minke whales in 2007. Commercial whaling has not been on the Icelandic governments agenda during recent years. More and more people in the tourist trade are arguing that whaling should not start anew as the state will definitely get more income by endorsing whale spotting as a tourist attraction. But as so often before, there are more views than one and while conservationists and people in the tourist trade are all for non-whaling, commentators for the local fishing fleet maintain rightly that whales have increased greatly in numbers during the last few years and that a natural environmental balance must not be put to a risk (Do we know so much about nature and its balance?). They support the idea of recommencing whaling for domestic commercial purposes. On October 18th 2006, the government of Iceland decided to allow commercial whaling again, and the first whale boat steamed 100 nautical miles out, almost to the fishing limits between Iceland and Greenland to find fin whales. The quota of this species is 9 whales this year. At the same time an additional quota for the minke whales was issued. The cool clear North Atlantic around Iceland is teeming with whales of various sizes and species. Already thousands of tourists are enjoying whale spotting from various sites around the country. The whale spotting port in the North is Husavik, in the Midwest are Olafsvik and Stykkisholmur on the Snaefellsnes peninsula, Hofn in the East, and the ports in the Southwest are Reykjavik and Keflavik and Sandgerdi, only a 40 minutes drive from the capital. Although whale spotting in Iceland is growing, it remains tourist friendly. As a pastime, it is still exclusive and mostly operated with small crafts. The locations are not swarming with vessels full of tourists and only small groups participate each time. No other boats than those of the local fishermen are used, and as a bonus, guest are treated to a variety of sea birds, seals, and a glimpse of the midnight sun when the weather permits. Many species of whales are spotted around the country. Most common are minke whales and porpoises, the latter frequently adding spice to the trip by leaping near the boats and following them playfully around. It is rather common to see the huge humpback whales, waving their flukes and sometimes people see them leap, leaving them breathless and a memory that it will not be easily forgotten. Killer whales are rather common, the most famous one, Keiko (Siggi), perhaps better known as Willy, was born and caught in Icelandic waters. Sperm whales are rarely spotted and pilot whales at times. If you see the latter, chances are you will see them by the dozens, as they tend to roam in large flocks.